I got request to add a confirmation dialog before generating the email. Its a great idea and implemented it. I just released it to Android Market and should be available to everyone shortly (it seems to take a few hours before its available). 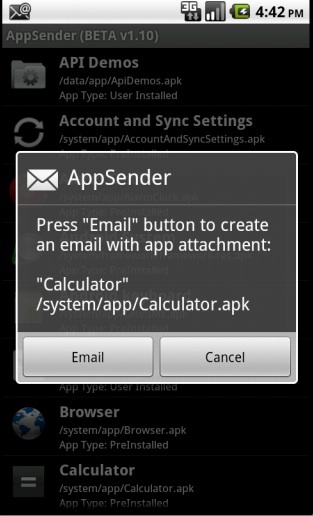 Version 1.10 will now prompt you a dialog before launching email app. BTW, I just got done developing an antivirus app (day time job). This is no ordinary antivirus app. It utilizes the cloud to the max to save battery and ScanNow button is lighting fast. Its a BETA release, but its FREE. You can install it even if you already have an antivirus app. 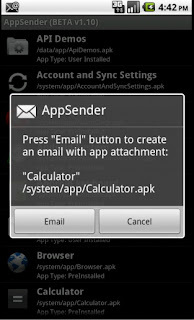 Its called SecureBrain Antivirus and can be downloaded from Android Market.